Why Consider Personal Money Network? Personal Money Network is a great resource to get the loan you need for your circumstances, whatever they might be. Sudden financial obligations happen, like unexpected bills, and those obligations need to be met. Maybe you need a few extra dollars to float you to payday, or perhaps something more substantial. Whether one needs a cash advance, payday loans or larger personal loans, Personal Money Store can accommodate those needs. The thing that makes Personal Money Network a great resource for getting a payday loan, cash advance or other short-term loan online is that we aren’t a lender, but rather a matching service that connects you with multiple lenders simultaneously. Instead of filling out application after application – and potentially having to drive from place to place – you fill out one application. The network of direct lenders that partner with Personal Money Network all get the chance to review your application and offer you a loan, meaning it’s more likely to get an offer that fits your specific needs – and all from the comfort of your own home via mobile, desktop, laptop or tablet. You simply fill out an application for the payday loan or other short term loan product that fits your needs and you submit it. The application itself only takes a few minutes to fill out. Within a few minutes of submitting the application, you’ll get the approval decision and, if approved, a loan offer from the lenders in our network. From there, you’ll be redirected to the approving lender’s website to review the loan offer and the terms of the loan, and choose whether to accept or not. 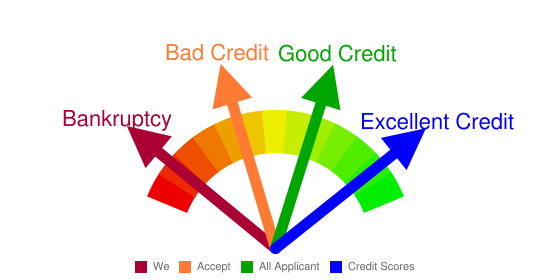 Any credit product, including payday loans, has its own unique characteristics. However, some of the positives of payday loans – and other types of short term loans – are the repayment period is shorter, and the time between application and funding is much shorter than the time it takes to get a bank loan. 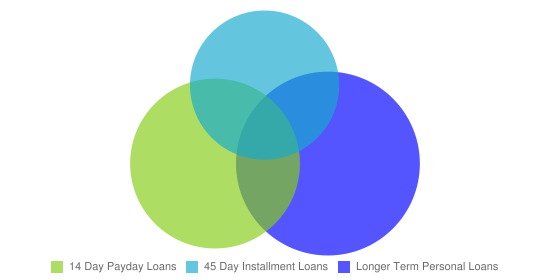 As you can see from the chart above, installment loans, payday loans, and other short term lending options can save you money when compared to common alternatives to remedy financial emergencies. What’s great about Personal Money Network is that we connect you to lenders across the country, instead of being limited to those in your immediate area. 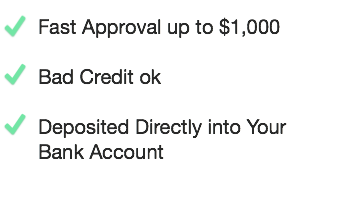 Also, since we can offer multiple products, your choice isn’t restricted to payday loans. As our lender network is so wide, we increase the chance you’ll be approved for exactly the loan you need. Should we find a direct lender for you, we’ll put you together with the lender that matches the loan you requested most closely. 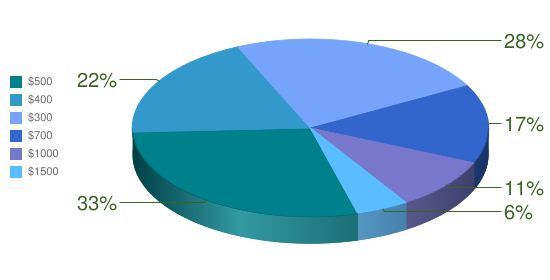 As you can see, we offer multiple loan types to our customers, and we deliver. Whatever your need is, we will try to find a lender for you to assist you in your time of need. Our partner lenders can have funding wired straight to your bank account. Personal Money Network also strives to ensure the safety and security of your information. As a result, we only partner with lenders that also take your privacy seriously, and our application is encrypted to the highest industry standards. With our easy application process and the ability of our lenders to quickly deposit funds to your checking or savings account, it is easy to get money for any type of emergency or short term financial problem. If you are in need of extra cash today, you can apply right now. Average amounts for payday loans vary, usually by state, but the typical loan is more than $300 but less than $1,000. First time applicants for payday loans are typically approved for $300 to $500. Does Your Credit History Matter? Not With Us! However, if a lender does check a borrower’s credit, the scores they view may not necessarily impact the decision to lend to the borrower. Additionally, a lender may also submit to those agencies information such as the loan request, and the borrower’s loan history with the lender in question or other lenders, and repayment history as well. Payday loans or payday advance loans usually are for less than $1,000 – loan amounts between $300 and $500 are the most common – and are repaid quickly, often enough on the borrower’s next payday. No collateral is required other than the promise to repay. Installment loans are a very popular option, as the repayment plan is extended beyond that of a payday loan. Lenders can be mandated to offer an installment plan by state laws, though most are perfectly happy to offer one anyway. Loan amounts in excess of $1,000 are available, though installment plans for smaller loans are certainly available if you desire one in lieu of traditional payday loans. While personal loans can be used as a bit of a catch-all phrase, typically it denotes a loan that’s larger than a typical payday loan or cash advance, or even the typical installment loan. Amounts of up to $25,000 are available. However, a credit check or some sort of collateral may be required for a loan amount greater than $1,000. Installment Loans or Payday Loans? Both payday loans and installment loans have their pluses and minuses – it’s up to you to determine what best fits your needs. Do you want to stretch the payments out for awhile? Installment loans are going to be your best choice. Want the whole thing over and done with as soon as possible? Payday loans would be a better option in that case. Personal Money Network can help you get whatever loan it is that best fits for you. Some borrowers may get approved by what appears to be a payday loan lender asking for repayment in much less time than they wish. That isn’t a burden to getting an installment loan. You can still accept the offer – just contact the lender and say you want a longer payment plan that better fits your budget. The lender will be happy to work with you, and in some states they have to offer an extended payment plan if you ask for it, without any additional fees or interest. Should you encounter resistance in obtaining a payment plan that will fit your needs, you can also appeal the Community Financial Services Association of America. Many payday loan, short term loan and installment loan lenders are members, and you can apply for a CFSA Extended Payment Plan. Borrowers can apply for one EPP per year, which will extend the payment period out longer than one or two pay periods. Sudden shortfalls happen all the time, which is why short term loans can be a great tool in a pinch. If you need one fast, online is the best way to go because you can get the application done in minutes and you don’t have to drive anywhere – which is where Personal Money Network comes in. Since we use a network of lenders to get you a loan, an approval decision can be rendered in a few minutes and you stand a better chance of getting approved and since our network of lenders can use direct deposit, the funds can be wired to you instead of having to cash a check. The great thing about online payday loan and other borrowing is the convenience of 21st Century commerce. You don’t have to leave your home, and you can apply with your laptop or desktop computer, tablet or a smart phone. Since so many lenders can utilize direct deposit, the funds can be wired directly to your bank account without having to wait for a check to cash. Not all repayment options may be made available to you when you first receive a loan offer. You can decide to decline the offer if you wish, but you should contact the approving lender if you would like to further negotiate terms of a loan offer. Most lenders are perfectly willing to work with you – after all, a loan that you are able to repay is better for both parties. Remember, short term loans like cash advances, payday advances and payday loans are not panaceas for financial burdens. They are short term solutions for short term shortfalls. If you are having financial difficulties, you should consult with a financial advisor who can help you figure out how to improve your situation with sound financial planning. Don’t take out more than you repay responsible in the alotted time to issue repayment. These loans, like any, come with a price. You should only agree to borrow what you can afford to pay back. Financial emergencies happen, like car problems, sudden medical bills and other expenses. It’s a part of life, but don’t think it leaves you stranded. By applying for a loan through Personal Money Network, you can get the funding you need quickly, in amounts up to $1,500 – all without having to leave home. You can apply for installment loans, short term loans or payday loans online all from the comfort of home by computer, laptop, smartphone or tablet. Q: How fast does it take to get an approval notice? A: Approval decisions are usually rendered in three minutes. A: The application is brief; most people can complete it in three to five minutes. Q: I’m on a fixed income; can I still get a loan? can certainly get approved for a loan. Q: What if I’m in the military? may be fewer lenders willing to lend to them. Want to know more? See the FAQs page for more details!